What have Jane Austen, Randy Newman and Albert Ayler got in common? Might the answer to this teaser (posed by John Fagg, an old friend, a deep jazz lover and unexpected Janeite) have something to do with irony? 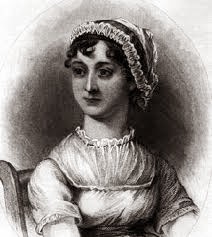 The most famous opening sentence in English literature is laced with strychnine levels of irony: “It is a truth universally acknowledged that a single man in possession of a good fortune must be in want of a good wife…” It sets the tone for the irony fest of Pride and Prejudice because the ‘universal truth’ uppermost in the minds of Austen heroines typically angling for a good marital catch, might not have occurred to the s.m.i.p.o.a.g.f. himself. The Austen view of humanity, for all its delicacy and chasteness, is that of a meat-market, albeit with an elegant Georgian decor. The theme is drummed home in the first line of Mansfield Park: “About thirty years ago, Miss Maria Ward of Huntingdon, with only seven thousand pounds, had the good luck to captivate Sir Thomas Bertram, of Mansfield Park…” That good luck and captivate register the ironic intent here. This struck a chord with John, who had the non-ironic good luck to catch Randy Newman with strings at St Luke’s Church in 2008 (the performance is available as Live in London). “You can hear Randy thinking something other than what he’s singing,” says John, admiringly. Randy Newman has always flirted with ambiguity, “new truth”, irony (call it what you will) and frequently seems to be playing a game of double-bluff with his audience. ‘Short People’ is an obvious example of disjuncture between apparent message and deeper truth. On the surface, the song advocates the extermination of all short people because they have “nasty little feet” and "I don't want no short people 'round here". Whereas, in fact, ‘Short People’ is a song of moral uplift lightly disguised as a hate song. By pouring scorn on extreme prejudice, Newman ridicules all bigotry, large and small (or tall and short, if you prefer). In the bridge, however, Randy sings "Short People are just the same as you and me..." underlining the prissy and do-good, and makes that appear ridiculous too. Of course, saying the opposite of what you mean - which Newman does not once but twice during the course of the song, with conflicting messages - is not irony but sarcasm, which is a lesser art, which is why ‘Short People’ is one of Randy Newman’s more slight efforts, despite being one of his biggest hits (#2 on the Billboard Charts in 1977). Like the songsmiths of the Great American Songbook, Newman writes from outside his own life. His political radicalism (implied, rarely overtly stated: his progenitor, Tom Lehrer, was resolutely apolitical) marks him as a product of his time, the sixties. If the former quality drew Frank Sinatra, anxious to locate some continuity between bobby-soxers and flower children, the radicalism aroused his deep suspicion. Plus Sinatra was savvy enough to recognise a piss-take when he heard it, so he turned down ‘Lonely At the Top’ when it was offered to him. This raises an interesting question: there are degrees of irony and “new truth” is relative, depending on who is doing the telling. ‘Lonely At the Top’, when Randy Newman sings it, is irony pure and simple (he doesn’t bother to suppress a guffaw at the line, “All the money I have made”; possibly, since the success of Toy Story, he works hard to maintain the guffaw at the line, “All the money I have made”). Whereas for Sinatra, the song represents documentary-style realism. 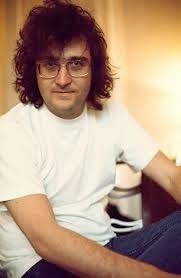 But what John really loves is the way Randy Newman refuses to tell listeners what to think. And it’s true, it is possible to treat ‘Jolly Coppers On Parade’ as a grand recruitment song for the NYPD, and agree with the sentiment of ‘Sail Away’ - what's so bad about slavery if it results in the American Way of Life? - or wax nostalgic for the Golden Age of Empire, when men were men (this from‘The Great Nations of Europe’: “Balboa found the Pacific / And on the trail one day, he met some friendly Indians whom he was told were gay / So he had them torn apart by dogs on religious grounds they say / The Great Nations of Europe were quite holy in their way”), and isn't the protagonist (antagonist?) of ‘Davy the Fat Boy’, in his own way, promoting the happiness of the many? That obese kid with learning difficulties is lucky to have such a friend. All these impressions are quite legitimate because Randy Newman gives listeners the freedom to think what they want. If the unspoken corollary is, "You can think that, but you'd be a fool," that's only because Newman is grumpy to a fault. In a culture largely free of irony, and where all listeners are casual listeners, misunderstandings are bound to multiply. That's natural. Newman accepts it, and clearly relishes his role as the arch provocateur of popular song, even if the death threats are a drag sometimes. Today I celebrated International Jazz Day (April 30) with a blast of Albert Ayler. The LP I picked, The First Recordings (Sonet, SNTF 604), preserves a Swedish session from 1962. All side 1 is given over to a standard, 'I’ll Remember April’. The familiar melody is stated comparatively straight, and regularly reprised during a perpetuity of steel-braced grinding, screaming and honking clamour. 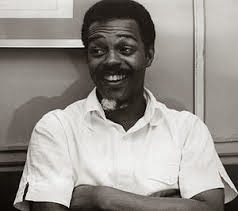 Albert Ayler was the great naif primitive of the New Thing. Nothing, certainly not virtuosity, could be taken for granted. But the struggle to achieve selfhood is strenuous, urgent and not to be denied, and results in a trail of scattered melodic shards that constitute one of the most compelling sounds in jazz history. 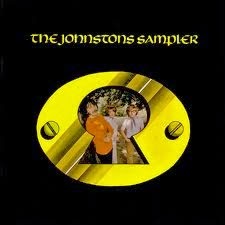 TRASAM 16, the most popular Johnstons album by some way. Last night, wanting to see what Irish folk LPs were available on eBay, I chose The Johnstons for my representative Irish folk group. The steps are these: enter the Shop By Category page, scroll down to Music and click onto the Records sub-section, and key in “The Johnstons” in Search… This will get me straight to the desired Irish Folk / Traditional category. Or so I thought. Feeling somewhat bemused, I repeated the exercise with The Dubliners. This time, I reached Irish Folk / Traditional on my sixth attempt (3 Other Folk; 2 Music > Records). The clue is in the name, dummy: The Dubliners. 'The Category Stomp', by the way, is a song by the great John Hartford, a Country artist (there seems to be consensus here). 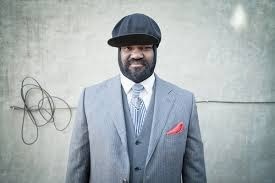 Generally, I like old soul too much to have much patience for neo-soul, but I was impressed when I caught up with Gregory Porter on a youtube clip (the source was Later with Jools Holland), on a friend's recommendation. Marie-Claire recently saw him in person at The Lowry and was glowing in her praise. As for prospective gigs, one of the most interesting is the Robert Glasper and Soweto Kinch double bill at The Academy tomorrow. I probably won't be there: at £17.50 plus booking fee, it's a bit out of my price range. 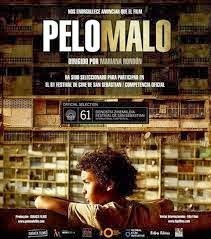 I only caught three films at the Viva Festival this year: two were brilliant - Pelo Malo (Bad Hair) and La Jaula de oro (The Golden Dream), and one was rubbish (Pense que iba a haber una fiesta). But the second week of Viva found me in London, researching and interviewing for the Bill Leader book, which is going well, thanks, albeit painfully slowly. Eva has just shouted from the next room that the new mayor of Paris is Spanish. Rising stars to look out for now include Gregory Porter and Anne Hidalgo. Two films need to go back to Lovefilm, both warmly recommended: Madeinusa (from Peru), and the Wim Wenders documentary Cave of Forgotten Dreams. What else am I up to, culturally,speaking? 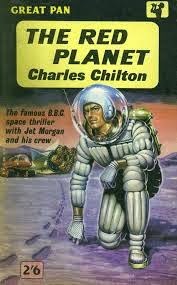 Well, I'm hooked on repeats off Charles Chilton's Journey Into Space on Radio 4 Extra. There might even be a link with the book. Which is to say, the give-away sign that an Earth astronaut's mind has come under the sway of Martians is that they start to sing a particular song, and that song is an old music-hall ditty called 'When It's Five O' Clock in Italy, It's Night-Time Over Here'. I thought it might be something Charles Chilton and John Foreman cooked up between them in a pub somewhere. John Foreman, a big music hall-man, was my interviewee in London. He denied it, but knew Charles Chilton. So I asked Bill, and he offered a nice Charles Chilton story which resulted in Confederate flags being festooned in a window display at that left-wing bastion, Collett's. For the full details, you'll have to buy the book (when it's out).